We have already had an enquiry for one of the largest Clearspan marquee’s we have had the opportunity to provide a quotation for, with a span of 30m and more than 40m in length, so watch this space and we will keep you posted on how it goes. January is looking very busy for the full-time crew; we have a trade show to help with, which can always be a challenge in the middle of a freshly ploughed field, followed by a large corporate party for 500 guests, which must be a great start for any company in the New Year. Heating is always a must this time of year and with the weather we have been forecast for the end of January and beginning of February we would imagine they will be running all night. January can be a quiet time for some but the staff are frantically cleaning all of our PVC, Linings and Carpets ready for the up coming season. We are not only cleaning our own equipment but for we are cleaning for other marquee companies too, which is one of our other services we provide. 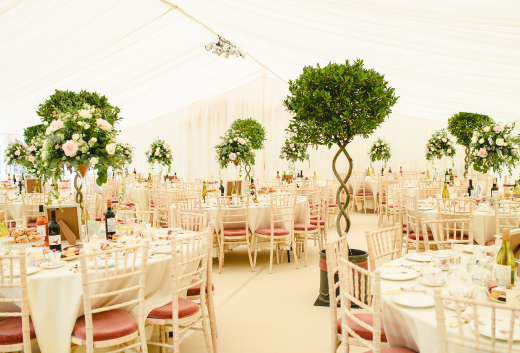 "Weatherfield’s always have quality at the forefront of our minds and always provide the high standard of service people have come to associate with the Weatherfield Marquee and Event support name." We offer a PVC hand cleaning service, which means we are up close and personal and able to quality check what we are providing for our customers. Sometimes items may require an overnight soak to help remove the grime before a thorough deep clean. Whilst this is taking place we check to see if any repairs are required and always inform customers before carrying them out, so no unexpected additional charges when you come to collect. When it comes to lining, again we always check the items over, looking for any stubborn marks or stains that may have resulted from red wine or, in some cases, mould - if they have been put away wet or stored for a long period. These are all washed in house and we can handle up to 50ft traditional gables end sections with our commercial washing machine. These are then reinspected and washed for a second time, if required, as part of our quality assured service. Once the washing cycle has finish they are hung to dry with warm air blowers before being rolled or folded and placed back into your bag - a prompt turnaround is always provided. 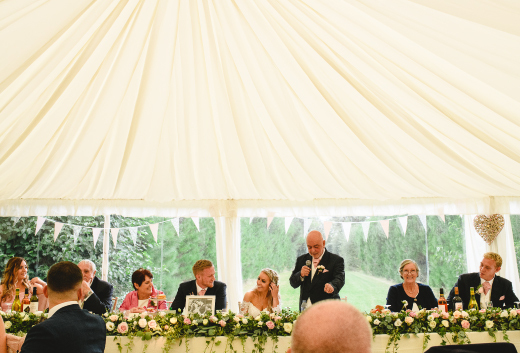 Following on from our pervious Facebook blog, we have also added some new stock for the 2019 season, which included some different size push pole style marquees ideal for smaller, more personal weddings (in back gardens or woodland settings). These are able to accommodate 20 to 80 seated guests, or if you are looking for something for an afternoon drinks reception or traditional garden party, these will suit most backdrops and add a touch of elegance. Also, please don’t think it is just marquee’s we provide, we can offer a range of other items to help dress and theme your wedding, party or event. With a host of other new items and the replacement of some of our older stock, Weatherfield’s always have quality at the forefront of our minds and always provide the high standard of service people have come to associate with the Weatherfield Marquee and Event support name.